How many of us read novels anymore? How many of us read “difficult” books that force us to stop, think, re-read, argue with the author inside our heads? How many of us can still become obsessed by a book? I don’t know the answers to these questions; I only know that over two months ago I was drawn into the orbit of David Shields’ book How Literature Saved My Life when I read a review about it in The Globe and Mail by André Alexis. The review itself was worthy of a blog post, but I decided to hold off until after I had read the book. Ever since then, I’ve been reading, re-reading, and trying to figure out how to write about it. Being engaged with a book’s ideas for over two months can count as an obsession, I think. I can’t describe How Literature Saved My Life better than Alexis does in his review. 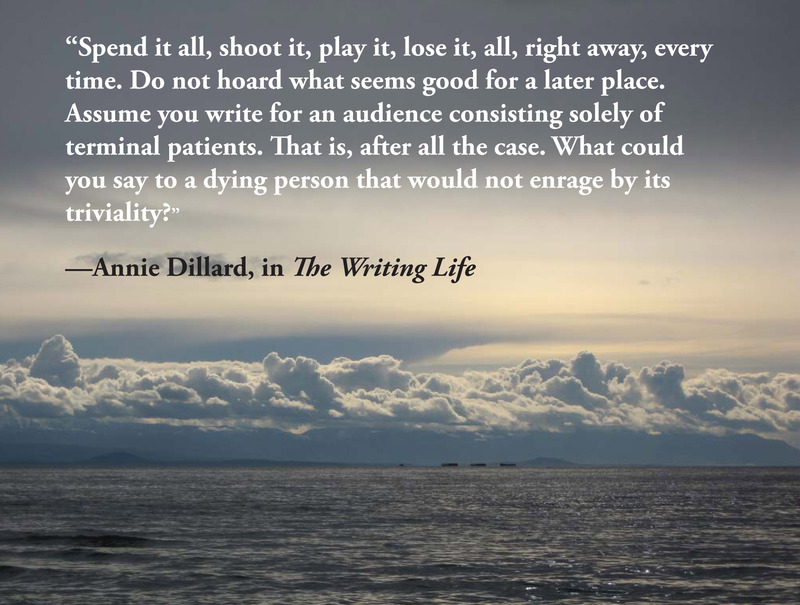 …a book that relentlessly relates instances or art (books and movies in particular) to the life of the critic. We have here a book in which a man seeks passionately to discover the personally relevant in art while, at the same time, looking for that thing (“truth” you could call it, I suppose) that transcends the personal, that allows for a break from the self. Then, after I read How Literature Saved My Life, I thought about the irony of Alexis “apologizing” for being personal in the context of a book that makes all criticism personal—the book’s title doesn’t lie about its intentions. Shields certainly makes it clear why he reads and what it is that he does when he reads. Shields is obsessed with the “problem” of how we live when we know that death awaits us no matter what we do. How do we make our lives meaningful and not despair? Knowing why Shields reads, it’s no surprise that he’s a big fan of David Foster Wallace. I strongly suspect a big part of a writer’s job is to aggravate this sense of entrapment and loneliness and death in people, to move people to countenance it, since any possible human redemption requires us first to face what’s dreadful, what we want to deny. Shields mentions Wallace’s most famous works, including the mind-boggling fiction opus Infinite Jest (1996). He gives his personal take on Wallace’s best-known essay, “Shipping Out” (from his first non-fiction book, A Supposedly Fun Thing I’ll Never Do Again (1997). 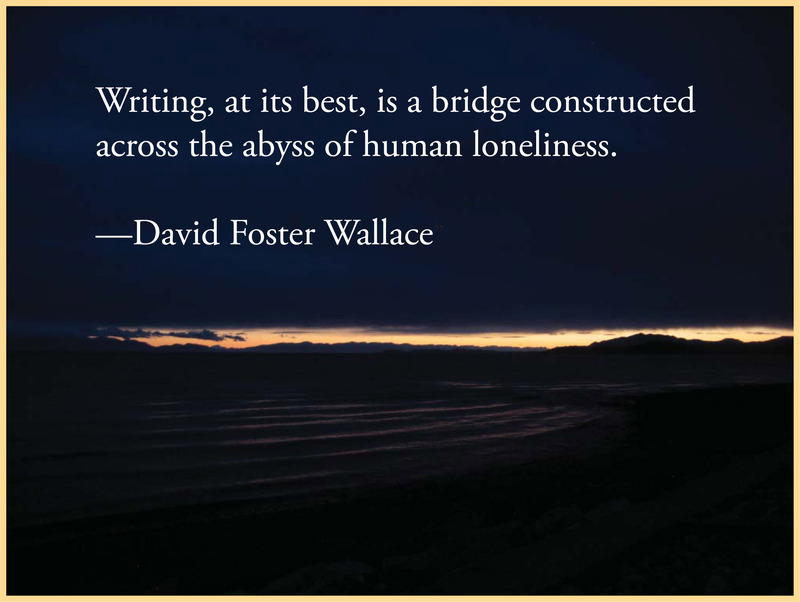 Of course, the irony is that literature couldn’t save Wallace; he committed suicide in 2008 at the age of 46. This section is wild, intimidating, inspirational, educational. It reflects what you could call either Shields’ morbid cynicism or relentless honesty about the human condition. His choices seem largely dependent on his personal relationships with the books; how are they relevant to him? Shields reminds us that Tolstoy said the purpose of art is to transfer feeling from one person to another. Shields wants writing that does more than that. He describes a kind of writing called collage. In collage, the movements of the writer’s mind aren’t merely entangled with the work’s meaning, they are the work’s meaning. Collage is more than a transfer of feeling; it’s a transfer of consciousness. This is what Shields is after, and many of the books he has loved are collage-style (as is How Literature Saved My Life itself). I haven’t read many of Shields’ Top 55, but his descriptions and quotes from many of them are alluring. Now that is a breathtaking and beautiful sentence. I agree that our culture provides us with endless choices and distractions. But a lot of the choices are stimulating and eye-opening. We can use self-control to avoid trivial distractions—maybe some people are better at this than others. Am I bored? Never. Am I numb? Never. I don’t even understand why Shields feels this way. Has technology made the novel irrelevant? According to Shields, the novel “was invented to access interiority”. In a culture where young people communicate mainly through social media and don’t seem to have the old notions about privacy, what purpose does the novel serve? Do the above points mean the novel is no longer relevant? I think not. I’ll bet the vast majority of readers can still be enthralled by a well-told story. Maybe I’m a less jaded and more easily entertained reader than Shields, but to me it doesn’t matter if the great universal themes are repeated. Writers build new stories and new characters around these themes and tell their story using a unique voice; that’s good enough for me. Shields believes that readers’ short attention span is incompatible with reading a traditional novel. I don’t agree, though the Internet’s potential is a double-edged sword. It gives us all control of our own work and the way it’s marketed; there is the possibility of gaining a huge global audience, but at the same time we’re competing with a global pool of writers in a sea of distractions. You have to be gifted and pushy to get noticed, but it’s possible to be noticed by large numbers of people. Does How Literature Saved My Life have that “paragraph-by-paragraph sizzle”? Is it a “successful” book in today’s multimedia-heavy culture? The answer, paradoxically, is yes and no. Yes, the book has concision, as Shields breaks it down into the short sections typical of a collage-style work. Yes, it has sizzle. Shields writes with brilliance and wit as he mines his own sexual experiences, character flaws and most despairing moments to illustrate his points. But it would be wrong to equate “concise” with “easy”. Make no mistake, this is a book for readers who are akin to Shields himself, readers who are unafraid to confront the most difficult questions of what it means to be human, readers who find consolation rather than discomfort when exposed to a writer’s most intimate thoughts. This is a book for readers willing to think deeply and to be guided, by Shields’ quirky personal taste, to more “deep reading”. I wanted literature to assuage human loneliness, but nothing can assuage human loneliness. Literature doesn’t lie about this—which is what makes it essential.